For as long as Marie Therese Leahy could remember, she was always performing. Going from a late night to an early morning show wouldn’t be the only change she would experience during that time. “The announcers couldn’t pronounce my last name, Leahy, even though there was a famous coach at Notre Dame [Frank Leahy] and a former admiral in the Navy [William Leahy].” So they gave her a new name—Terry Lea. Photo from the WFAA Early Birds 25th anniversary program. Courtesy of Terry Jenkins. After her stint with WFAA, she would lend her voice on commercial jingles, working with Tom Merriman and the Liberty Broadcasting Network, and later James Earl “Pop” Sellers (who founded the first independent recording studio in the Southwest) before “settling down, getting married, and having children,” but she would soon return to radio—singing a different tune. 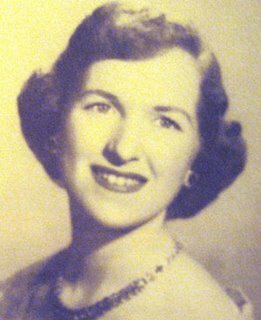 In the mid 1950s her old friend, Bill Meeks, contacted her. The two had known each other when Meeks played in the Early Bird Orchestra during their time together on WFAA. He was starting up a new company, the PAMS Advertising Agency, and was looking for singers to perform spots for advertisers. “I kept very busy doing commercials,” she said. “I have no idea how many I did, probably 12,000. One day I cut 54 jingles in one day. 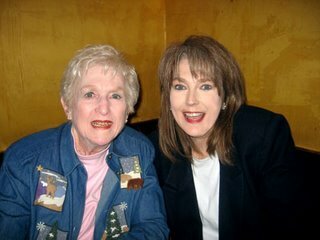 I would cut the jingles and go home and take care of my family.” She is featured, most prominently on PAMS jingles packages Series 8 (1958) and 10 (1959). While the concept of using catchy tunes to promote a product was nothing new, the idea of using a full length song to promote a radio station was. In 1960, Meeks came up with the idea of creating a standard 1:30 music bed, entitled “My Home Town” (in the “Sound of the City” – Series 16 jingle package). The song bed, written by Euel Box, was pitched to radio stations from Abilene to Winston-Salem. Localized lyrics would be penned by the jocks, or other staffers, which would then be performed by Jenkins, for the custom jingle. However, more often than not, the amateur songwriters would cram as many words as they could into the canned music bed. To make the recording session more interesting, due to the two-track recording system, Jenkins would have to sing not only the lead straight through, but also the harmony, in one take. “I couldn’t make any mistakes,” she said. “But when you have a natural gift, given by God, you just do it,” she said. 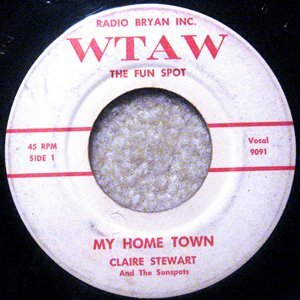 On at least one “My Home Town” recording (WTAW in College Station), PAMS singer Claire Stewart is credited as the singer. “I knew Claire from WFAA,” Jenkins said. “She was this darling blonde, very saucy singer. I was more Dinah Shore, while she was more Peggy Lee.” However, a comparison of the vocals reveals that Jenkins is actually the singer. Listen to a sample of this record here. Terry Jenkins would stay with PAMS for several years, “I just got older and my children got older,” she said. 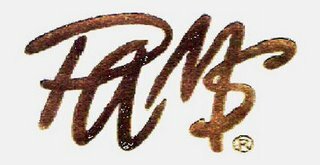 “I just quit and PAMS was going down at the time, and it was just time to leave.” (PAMS would to cease operations in 1978. Meeks would pass away in 1999, at the age of 78).